Will Guitar Makers Be Embracing Rosewood Once Again? A new proposal aims to exempt the popular wood from CITES regulatory control. Music Industries Association, a UK-based trade body and lobbying organization, is reporting that a proposal was put forth at the Music Industry International Coalition Meeting at the winter 2019 NAMM show to exempt rosewood instruments from CITES regulatory control. According to MIA, the formal proposal has been nominally agreed to, but will require ratification at an upcoming CITES meeting that is being held in Sri Lanka in May. 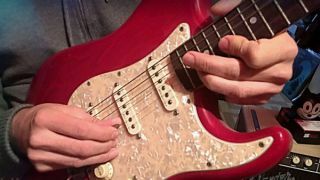 The passage of the proposal would have positive implications for guitar builders, after a CITES law was put into practice in January 2017 that placed restrictions on how rosewood could be traded across international borders. This resulted in some companies, including Fender and Larrivée, exploring rosewood alternatives. Additionally, Taylor halted production on certain rosewood models. The proposal aims to: exempt finished musical instruments containing rosewood; exempt finished musical instrument parts containing rosewood; and exempt finished musical accessories containing rosewood. For more information, head over to MIA.org.uk.